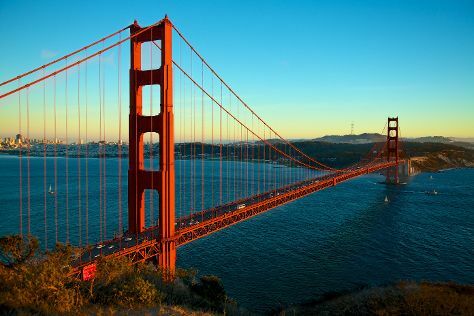 Get out of town with these interesting San Francisco side-trips: Wine Tours & Tastings (in Napa), Jack London State Historic Park (in Glen Ellen) and Muir Woods National Monument (in Mill Valley). There's still lots to do: take in the views from Golden Gate Bridge, wander the streets of SoMa, admire all the interesting features of Golden Gate Park, and take a leisurely stroll along Fisherman's Wharf. To find maps, reviews, photos, and tourist information, go to the San Francisco trip planner. If you are flying in from India, the closest major airports are San Francisco International Airport, Metropolitan Oakland International Airport and Norman Y. Mineta San Jose International Airport. In May, daytime highs in San Francisco are 24°C, while nighttime lows are 13°C. Cap off your sightseeing on the 14th (Fri) early enough to travel back home.